Biography: I joined Swinburne University of Technology in July 2016 to start a new Key Laboratory on IoT. Before that I served as a Research Director (2008-2014) at CSIRO’s ICT Centre and the Executive Director of the Information Engineering Laboratory, which was the largest Computer Science research program in CSIRO and Australia. Prior to joining CSIRO, I held research and management positions in several industrial laboratories in the USA, including Telcordia Technologies (where I helped found two of Telcordia’s Research Centers in Austin, Texas, and Poznan, Poland); Microelectronics and Computer Corporation (MCC) in Austin, Texas; GTE (currently Verizon) Laboratories in Boston, Massachusetts; and Bell Communications Research (Bellcore) in Piscataway, New Jersey. I was also a full Professor at RMIT University (2014-2016), and I am currently an Adjunct Professor at the Australian National University and a CSIRO Adjunct Fellow. I have authored/co-authored 190+ journal and conference publications in computer science, which include three seminal papers in the areas Service Computing, Workflow Management, Context Management for the Internet of Things (IoT). According to Google Scholar, I have more than 13,700 lifetime citations. I have served as the General or Program Chair of 20+ major international conferences as well as many other smaller conferences or workshops. I have received two outstanding paper awards from the IEEE Computer Society (CS), as well as several IEEE CS service awards. I was the recipient of GTE’s (Verizon’s) Excellence Award. In Australia, I won four ACT iAwards and a CSIRO Plant Industry divisional innovation award. Recent awards in the area of the Internet of Things also include the Black Duck Rookie of the Year Award in the USA and a best paper in the 2017 Hawaii International Conference on System Sciences (HICSS) in Hawai, USA. I have attracted significant external research funding ($35M+) from various industry and government research funding agencies, ranging from DARPA and ARDA in the USA, to the Framework Program in the EU, to the Department of Human Services in Australia. 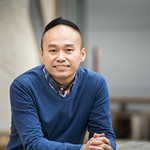 Biography: Associate Professor Kok-Leong Ong has attracted over $1.5million in research grants related to data analytics research and has served in over 50 Program Committees of international conferences related to analytics, including the prestigious KDD (2015 and 2017) and PAKDD (2006, 2018 and 2019). He is also a Steering Committee Member of AusDM since 2010. Kok-Leong has co-chaired in various roles in different conferences since 2006 and has served as a reviewer for over 20 journals throughout his academic career. He is currently a Section Editor of Business Analytics with the Australasian Journal of Information Systems (ABDC A) and has also served as an industry judge for the Victoria iAwards and the SAP-RMIT University Analytics Competition. Kok-Leong’s research has demonstrated real-life impact. For example, his work on using analytics to improve community well-being was featured by the European Commission in Science for Environmental Policy and many of his papers were ranked by Altmetric to be in the top 25% and 5% of publications. Recently, he was a member of the CRD D2D Education & Training, where he contributed to the design of a national competency framework between 2015 and 2016. He was also one of the chief investigators of a NHMRC Partnership Grant from 2019 – 2023. Abstract: The public health domain has traditionally operated on survey mechanisms to obtain a snapshot of the public’s tendency towards a number of public health issues, such as maternity health, obesity issues, dietary behaviours, or population health. In this presentation, I will explore how social media and the use of smart phones could be positioned as sources of data streams that can be treated in the same manner as IoT data streams and subsequently used the data for various applications in public health analytics. The presentation will showcase three such applications. The first in population health through community driven noise mapping using smartphones as an IoT device for sound levels. The second application showcases the use of a smartphone app to deliver clinical interventions that captures user behaviours as a data stream of engagement data to deliver personalised and targeted intervention at scale. The last application uses social media data in the context of understanding food trends that is occurring in the public, showcasing how this approach performs better in some applications over traditional census and survey data. Biography: Simon Fong graduated from La Trobe University, Australia, with a 1st Class Honours BEng. Computer Systems degree and a PhD. Computer Science degree in 1993 and 1998 respectively. Simon is now working as an Associate Professor at the Computer and Information Science Department of the University of Macau. He is a co-founder of the Data Analytics and Collaborative Computing Research Group in the Faculty of Science and Technology. Prior to his academic career, Simon took up various managerial and technical posts, such as systems engineer, IT consultant and e-commerce director in Australia and Asia. Dr. Fong has published over 432 international conference and peer-reviewed journal papers, mostly in the areas of data mining, data stream mining, big data analytics, meta-heuristics optimization algorithms, and their applications. He serves on the editorial boards of the Journal of Network and Computer Applications of Elsevier (I.F. 3.5), IEEE IT Professional Magazine, (I.F. 1.661) and various special issues of SCIE-indexed journals. Simon is also an active researcher with leading positions such as Vice-chair of IEEE Computational Intelligence Society (CIS) Task Force on "Business Intelligence & Knowledge Management", and Vice-director of International Consortium for Optimization and Modelling in Science and Industry (iCOMSI). Biography: Li Tengyue, PhD University of Macau, is the Head of Data Analytics and Collaborative Computing Laboratory, Zhuhai Institute of Advanced Technology, Chinese Academy of Science, Zhuhai, China. Ms Li is leading and managing the laboratory, in R&D as well as technological transfer and incubation. She is an entrepreneur with experiences in innovative I.T. contest, with her award-winning team in the Bank of China Million Dollar Cup competition. Her latest winning work includes the first unmanned supermarket in Macau enabled by the latest sensing technologies, face recognition and e-payment systems. She is also the founder of several Online2Offline dot.com companies in trading and retailing both online and office. Ms Li is also an active researcher, manager and chief-knowledge-officer in DACC laboratory at the faculty of science and technology, University of Macau. 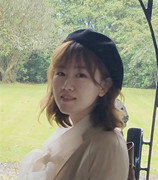 She holds a senior membership at at IEEE Computational Intelligence Society (CIS) Task Force on "Business Intelligence & Knowledge Management", and secretary position at International Consortium for Optimization and Modelling in Science and Industry (iCOMSI).